As Vancouver nears an election, once again the fate of Stanley Park's captive whales and dolphins is at issue. How, after a summer of protests, revelations, Jane Goodall and lengthy public hearings that led to the introduction of new whale-friendly bylaws, is this an election issue? Recent history suggests it is because the Vancouver Aquarium is gaming the system. And while their tactics may technically be legal, whether they are ethical or democratic is another matter. This is not the first time the aquarium has been accused of playing political games with Vancouver's publicly elected Park Board. In the 2005 Vancouver election, CEO John Nightingale faced public accusations he had contravened the Canada Revenue Agency's prohibition on registered charities engaging in partisan political messaging over a letter to aquarium members that suggested they vote for candidates who opposed a referendum on cetacean captivity. The results of that election wrested control of the Park Board from the left-leaning, whale-friendly Coalition of Progressive Electors (COPE) to the right-leaning, aquarium-friendly Non-Partisan Association (NPA), exactly the desired result Nightingale hinted at in his letter. But Nightingale's real coup was the election of NPA candidate Heather Holden to Park Board. The newly minted commissioner was, at the time, also an employee of the Vancouver Aquarium. Even for the mildly cynical, it came as no surprise when her NPA colleagues elected her to the position of Park Board Chair. Holden served on the Park Board for just one term between 2005-2008, choosing not to seek re-election, presumably because her mission had been accomplished. Although her short time in office was dogged by spotty attendance records, questions of conflict of interest and accusations of receiving suspect campaign donations, from the aquarium's standpoint it was a highly successful stint. In 2006, the NPA-led Park Board repealed the bylaw requirement for a public referendum on any future aquarium expansion, in favor of a process of public consultation. Unbelievably, the Park Board then voted to forgo further participation in the public consultations, instead having the entire process paid for by the aquarium and conducted by a public relations firm of the aquarium's choosing. You can guess the result. In their rush to gut public oversight of the aquarium, even an internal revolt by one of their own couldn't stop the NPA. After then Parks Commissioner Alan De Genova cried foul, he was suspended from the NPA caucus, claiming his "principal sin was publicly blowing the whistle on Parks Board Chair Heather Holden." The ease at which the aquarium and its friends pulled off this legal, but ethically dubious reversal of fortune in 2005 and 2006 led one former Park Board commissioner to call for a new way of dealing with the aquarium. In her testimony at the Park Board hearings on cetacean captivity this past July, former COPE Park Board Commissioner Loretta Woodcock called for "an entity, organization or committee that is respected by the public for its knowledge and advocacy on animal welfare" to provide public oversight of the aquarium and its lease in Stanley Park. To the credit of the members of the outgoing Vision Vancouver-led Park Board, Woodcock's advice was apparently taken very seriously. 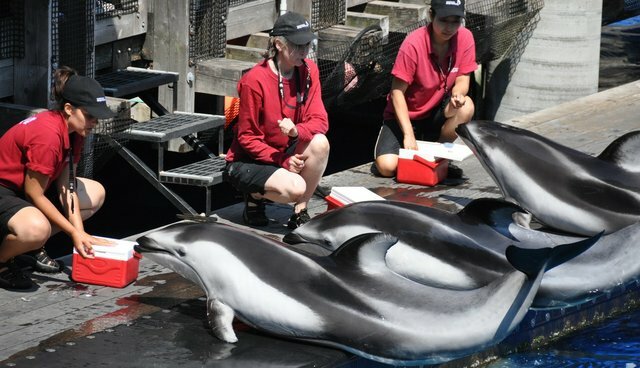 One of the key elements of the bylaw amendments that arose from these hearings "directed staff to establish an Oversight Committee of animal welfare experts that will provide public oversight to ensure the well-being of all cetaceans owned by the Aquarium." Perhaps even more so than the Park Board's ban on cetacean breeding, it is this new oversight committee that scares the aquarium most. It would hold them more accountable for the welfare of their animals, but more importantly, as an independent, non-elected body it would,strip them of their ability to influence those who oversee them. If you're an aquarium intent upon preserving a business model built around the entertaining displays of its large marine mammals – a practice increasingly frowned upon by the public. This is a problem. Enter the latest NPA mayoral candidate Kirk LaPointe, whose strong language on the issue leaves no uncertainty about where his allegiance lies, saying he "deplores" Mayor Gregor Robertson's stance against cetacean captivity and promising to overturn the recent bylaw changes if he is elected. Among Lapointe's approved slate of Park Board candidates in November's civic election? Sarah Kirby-Yung, a marketing executive with no previous political experience, who just happened to hold the position of vice president of marketing and communications at the Vancouver Aquarium from 2008 to 2010. Activists have planned a public demonstration at Vancouver City Hall on November 8 to call out the NPA and aquarium on their political shenanigans. Visit www.vanaquafacts.org for more on the Vancouver campaign.